Disclaimer: Our family has been provided with a complimentary stay in exchange for this post. All thoughts and opinions are mine. We are definitely feeling a bit stuck in the doldrums of winter and suffering from a bit (ok, a lot!) of cabin fever. Lately I feel like no matter what we do the kids can’t seem to expel enough energy and we are all starting to go a bit crazy being stuck inside. 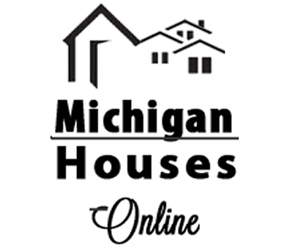 Thankfully, I came across a great deal for one of Michigan’s top tourist destinations, The Bavarian Inn Lodge, and we are totally planning a visit soon. 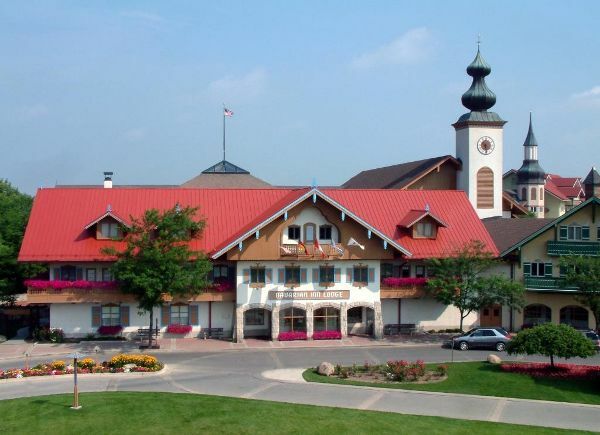 The Bavarian Inn Lodge, nestled along the Cass River in one of Michigan’s top tourist destinations – Frankenmuth – is one of the state’s largest Indoor Water Park Hotels. The Lodge has 360 European-themed guest rooms, including whirlpool and family suites, an adult-only pool, two gift shops, two lounges and two restaurants — all under one roof. 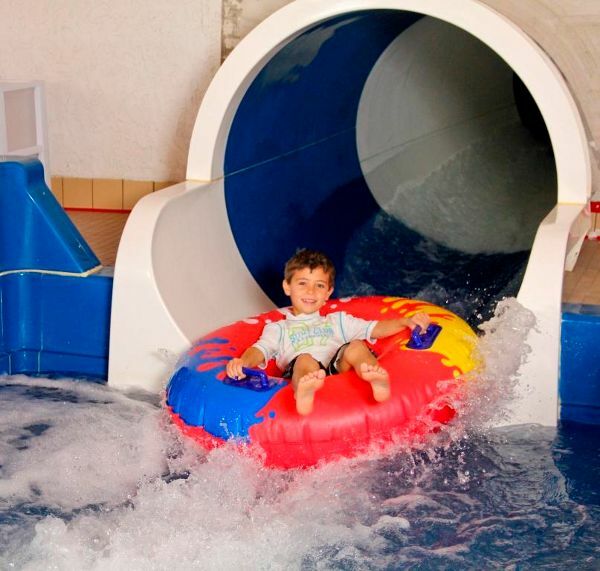 The Lodge’s expansive 35,000 square feet Family Fun Center houses two dramatic water slides, three pools and two whirlpools, over 160 video and redemption games, a two story children’s play village and Willy’s Kingdom indoor mini-golf course. Guests can also enjoy live, year-round, nightly entertainment and test their own musical skills during weekend family karaoke. In 30 years of business, the Bavarian Inn Lodge has been an important destination for travelers, evidenced by the 1.25 million room-nights that have been booked there since its opening, along with its top rating on TripAdvisor. Basically, this sounds like the perfect quick Mid-Michigan getaway and especially for families with younger children. I love that there is something for everyone to enjoy. The kids will absolutely love the pool & slides, hubby can’t wait to dominate in mini-golf (haha! ), meanwhile I can’t wait to relax in the whirlpool and chow down a world-class chicken dinner at the Bavarian Inn Restaurant. 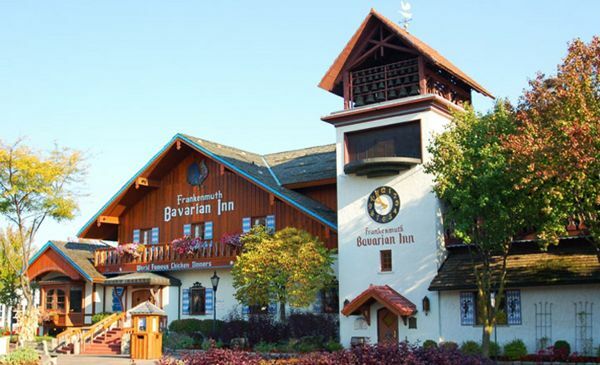 I have some great savings for both Bavarian Inn Restaurant and Bavarian Inn Lodge for my readers to take advantage of! 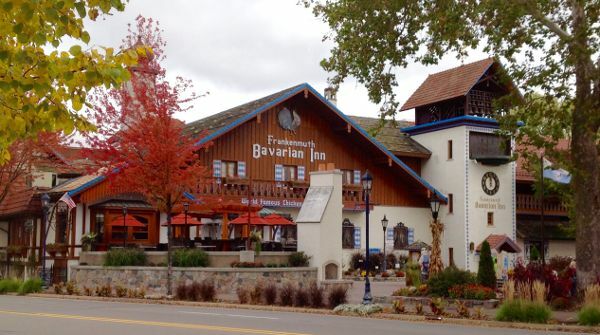 HALF Off at the Bavarian Inn Restaurant! Call (855) 421-1366 to reserve! 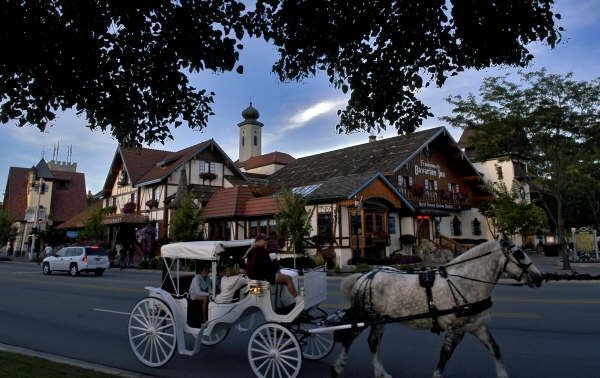 Have you been to the Bavarian Inn or Restaurant? I’ll be sure to post soon with tips, recommendations and everything about our stay! Exciting, great adventure! I want to try that ride being pulled by pony, What do you call that? we called that here “kalesa”. enjoy! We call it carriage rides! Definitely looking forward to a little getaway! This place looks so cute! And it looks like it has a ton for kids to do. What a great find! What a fun trip! Thanks for the suggestion, it is hard to find great trips with kids like this! This looks fun! Love finding cool options nearby! I have never been to Michigan! This place looks really cozy with lots to do.